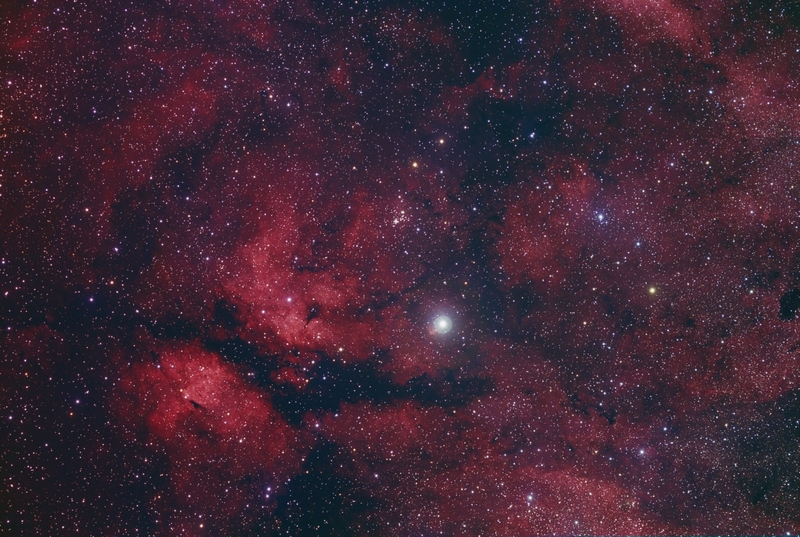 IC 1318 is a diffuse emission nebula complex surrounding the bright star Gamma Cygni, or Sadr, which is the center star of the Northern Cross. Sadr is a bright yellow-white F8 supergiant star of magnitude 2.2 and lies around 1800 light years away. It has 12 times the mass and 150 times the diameter of the Sun and emits 33,000 times as much energy. Processing: Image acquisition using CCD Autopilot. Initial processing was done using Maxim DL with subsequent processing with Photoshop. The HA channel was used as the Luminance layer and blended with the color.